I've been eagerly waiting for this update. I'm glad trouble will wait for another day, but I wonder how annoyed the cat teacher will be. 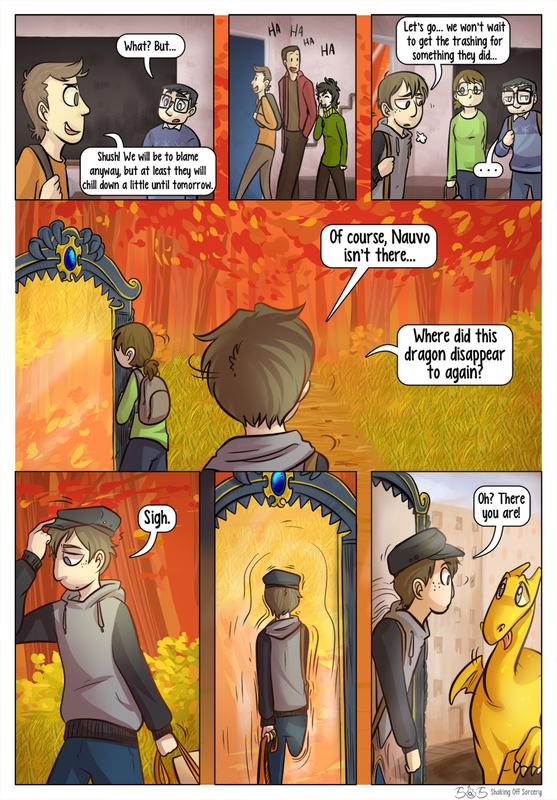 So is the mirror some sort of school bus but more magical? @Matt: The "mirror" is actually a magical portal, mentioned earlier in this chapter. :) The gate teleports students from school right into the city, so they don't have to take the risk wandering through the forest (which could be quite dangerous, as we know that there's a vampire around). It's much better than a bus! But who needs portals if you can get your hands on a marauder's map?